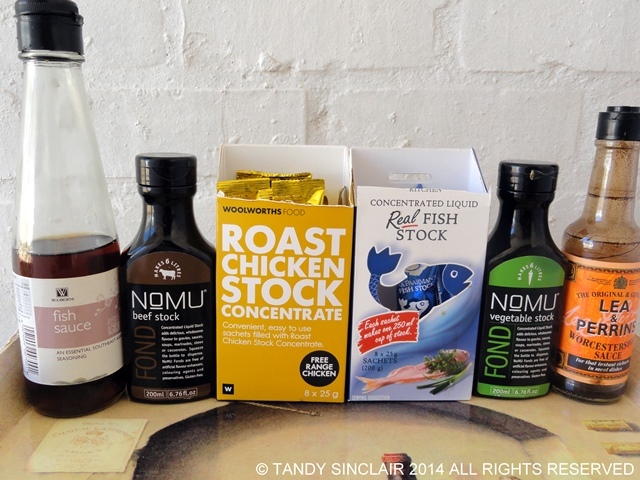 Following on from my post on how I have stocked my pantry here is a post on Stocking A Pantry Cupboard. This is what you will find in my cupboard. 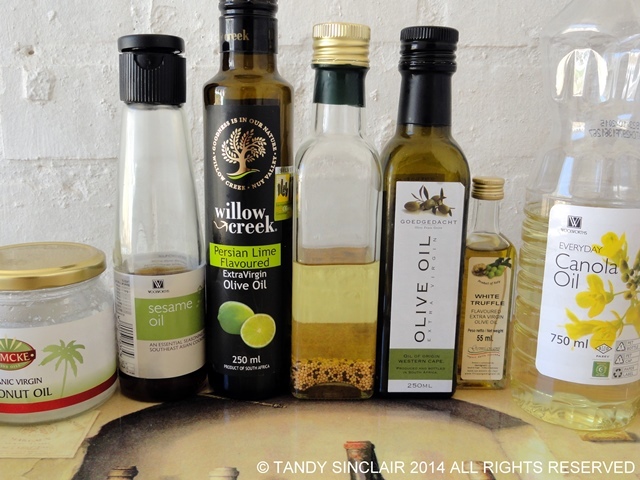 A huge selection of oils is not necessary but I would recommend a good olive oil and canola / sunflower oil. I make my mayonnaise with canola oil as I do not like the heavy taste of olive oil, and for salad dressings I also prefer canola oil. I cook with olive oil most evenings. 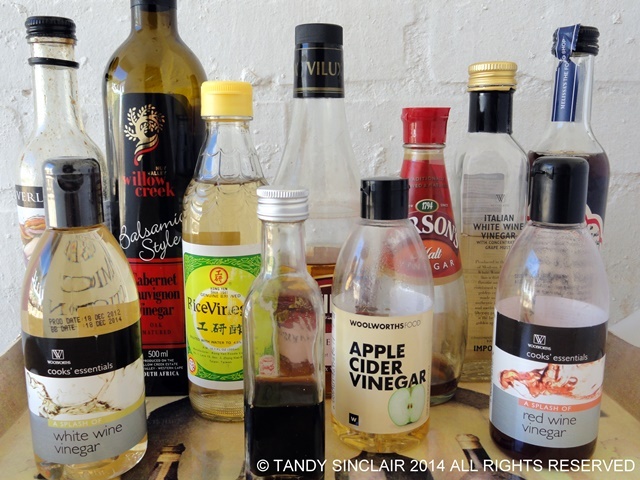 I am slightly obsessed by vinegar but recommend that you have a good balsamic vinegar and a white wine vinegar in your pantry. Stocks and sauces go without saying as long as they are a decent quality made from decent ingredients. I would love to say that I always use home made stock, but that is not the case. I keep concentrated stock in my cupboard and that is what I use most often. I also always have fish sauce and Worcestershire sauce to hand as they can make an ordinary meal that much difference by the depth of flavour they add. Then we move on to coffee – a BIG must for me as I do not wake up without coffee. 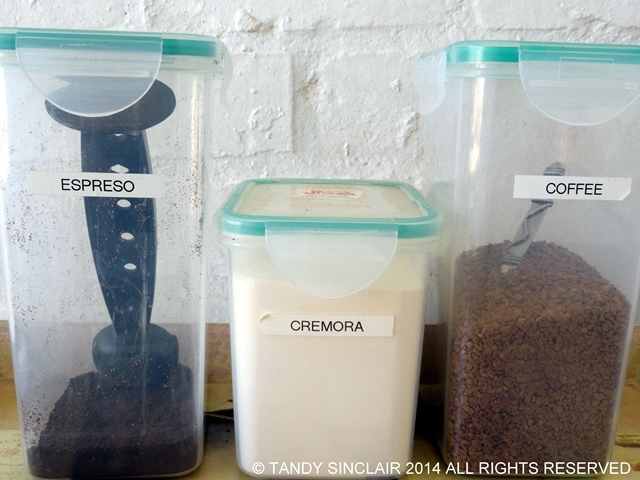 Dave has an espresso machine and a coffee bean grinder and he grinds his own coffee every afternoon. I also have decaffeinated coffee for a friend who prefers that, and cremora for my mother for when she comes to visit. 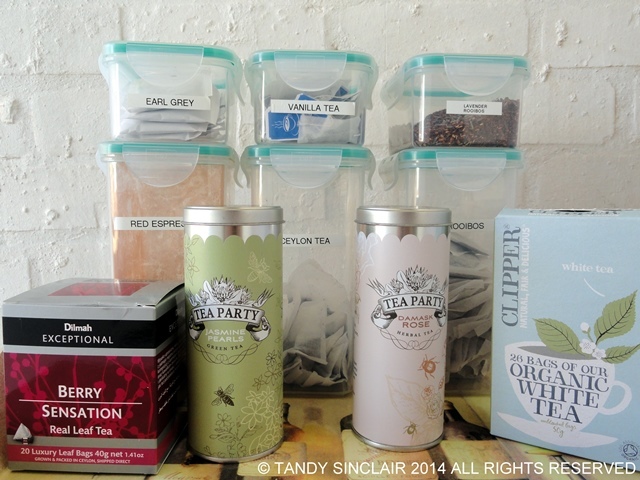 I also have a selection of teas – I love tea and have ice tea in summer and a hot cup of tea in winter when I get home from work. 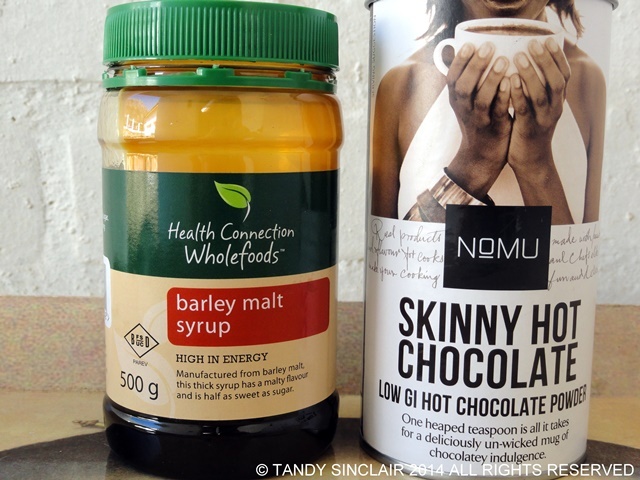 For the nights I need to sleep well there is my hot chocolate and barley malt syrup. This barley malt tastes way better than horlicks / ovaltine and is seriously cheap. It is also not sweet so a teaspoon of that with my favourite brand of hot chocolate makes a really nice treat. I will be doing a post on what is in my fridge, and how to stock a spice drawer soon! I will do that with pleasure! I love all the beautiful lavender decorating your page!! You should see all the bottles in my pantry! It is crazy, and like you I make my mayonnaise with an oil that doesn’t have a tasty, olive oil is too heavy. Looks like you are very organized and well stocked Tandy, I could learn a few tips from you! Thanks for sharing! I would welcome you with open arms! I have quite a few vinegars and oils as well, but really should stock up on my tea selection! You have some fabulous teas Tandy. Love it! I’ve been making mayo with macadamia oil but it’s too strong too – must try with canola. Love the Lea & Perrins. I found an old cookbook of theirs at a flea market in New Zealand a few years ago – it’s remarkable what they add L&P too! We had a bottles drawer added into our kitchen when we renovated it – best thing ever.